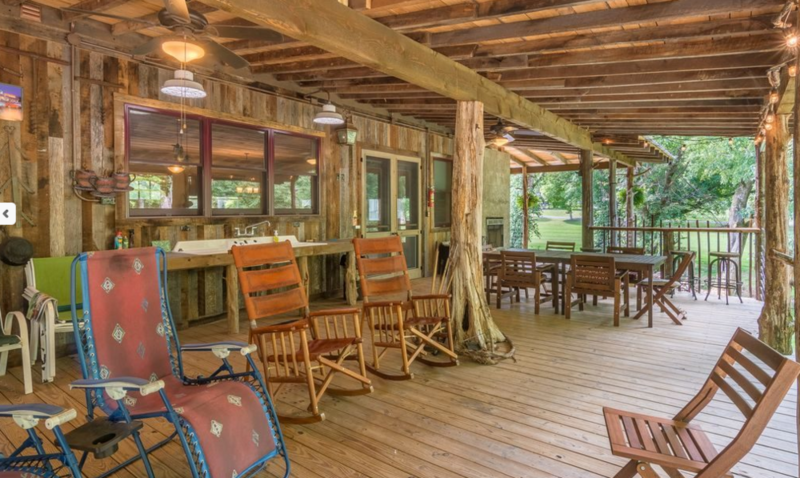 *Rates vary depending on number of people, number of days, and accommodations. So much water, so little time. If you need more than one day of fishing, we understand all too well. The Guided Float Fishing Trip is the most popular among our guests. If we had to choose one trip as a favorite, it would be without hesitation, the full day Float Trip for Trout, Smallmouth Bass or Musky. No other trip allows you to access over 100 miles of scenic river that is not accessible by foot. That means fewer people, less pressure and the best fishing. 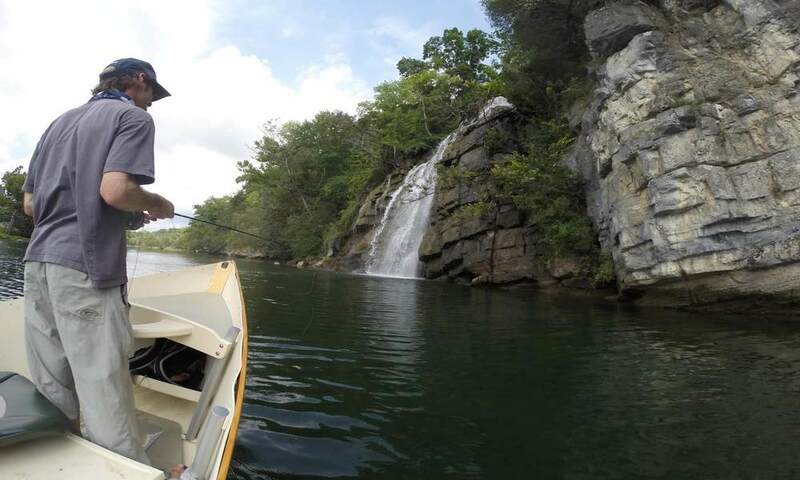 The Multi-Day Trips extend your time on the water and offer several different options that combine guided fishing and overnight accommodations. Please contact us with questions or to discuss your ideal fishing getaway. 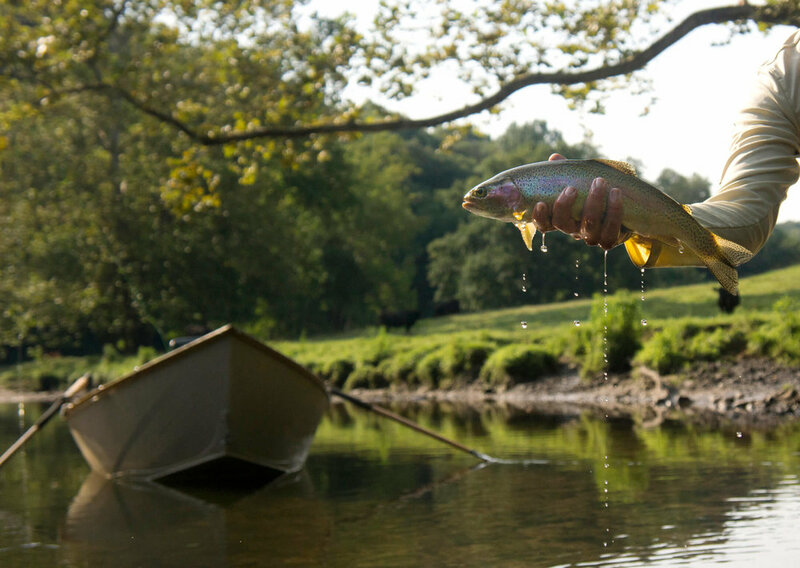 Guided Trout Trips are our most popular trip and take you to East Tennessee's South Holston River & Watauga River for a chance at the fish of a lifetime. 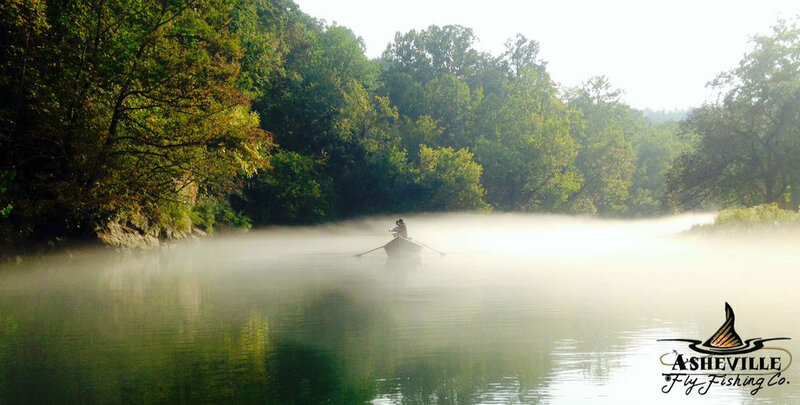 Read more on these two rivers and why they are among the best in the southeast on our Rivers Page. 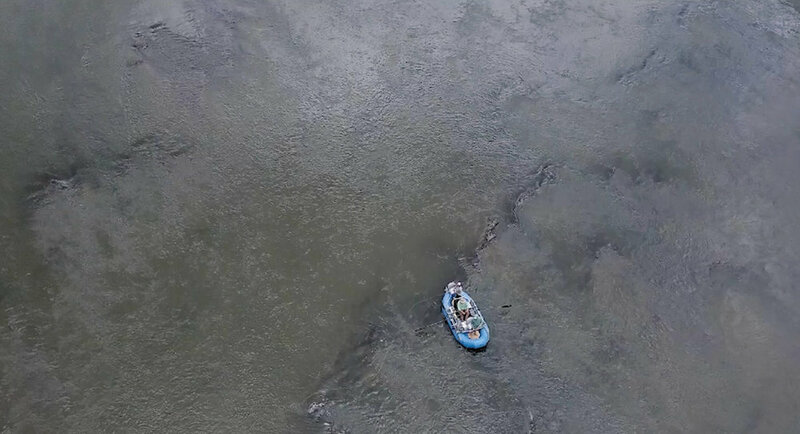 Musky Float Trips take you to the Nolichucky River or French Broad River where we are certain that any encounter with a musky will have your heart racing and your knees shaking. Guided Smallmouth Bass Trips are one of our specialties. 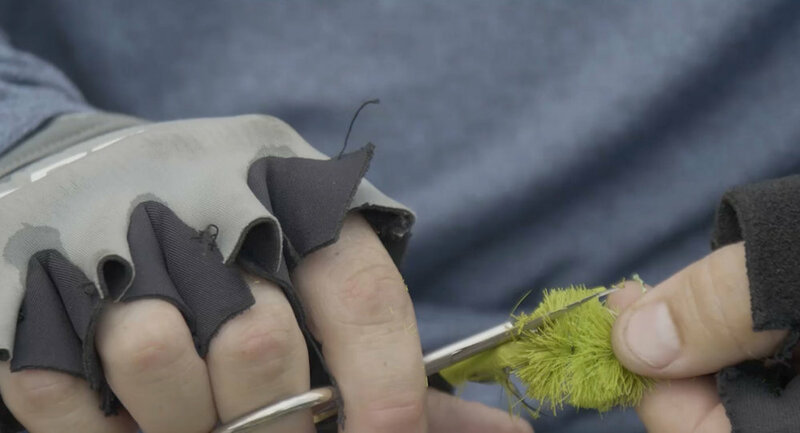 We primarily target smallmouth on the fly but offer conventional spin tackle as an alternative. 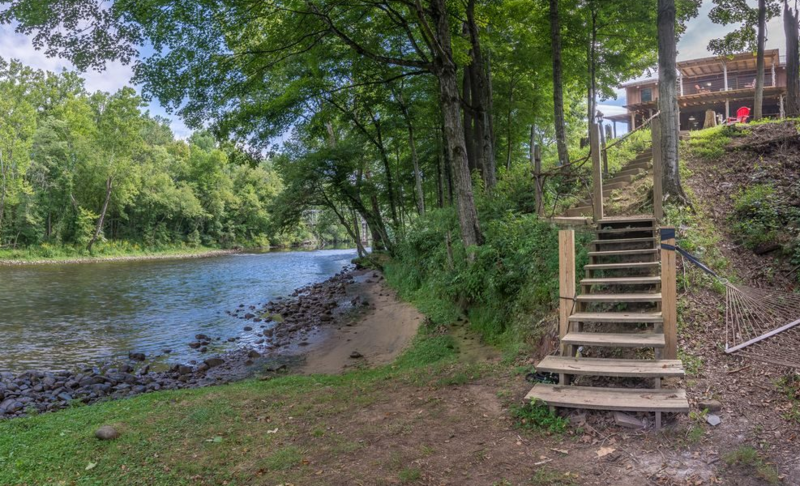 We have access to over 400 miles of pristine water among four large river systems surrounding Asheville NC and have two private base camps with exclusive access. We go the extra river miles for our guests. 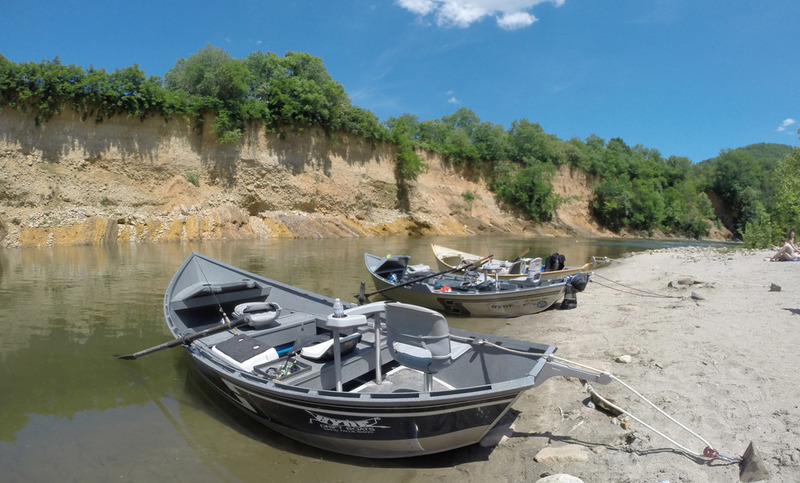 AFFC is the only guide service in the area offering Multi-Day Trips and Smallmouth Bass Whitewater both with the option of Overnight accommodations. These trips are a true wilderness experience. AFFC guides are trained to the highest level: ACA Level IV Swift Water Rescue, CPR / First Aid certified and fully insured. *Rates vary depending on number of people, and accommodations. *All guides are CPR/First Aid certified and fully insured. *Rates vary depending on number of people and accommodations. *All guides are ACA Level IV Swift Water Rescue and CPR / First Aid certified and fully insured. 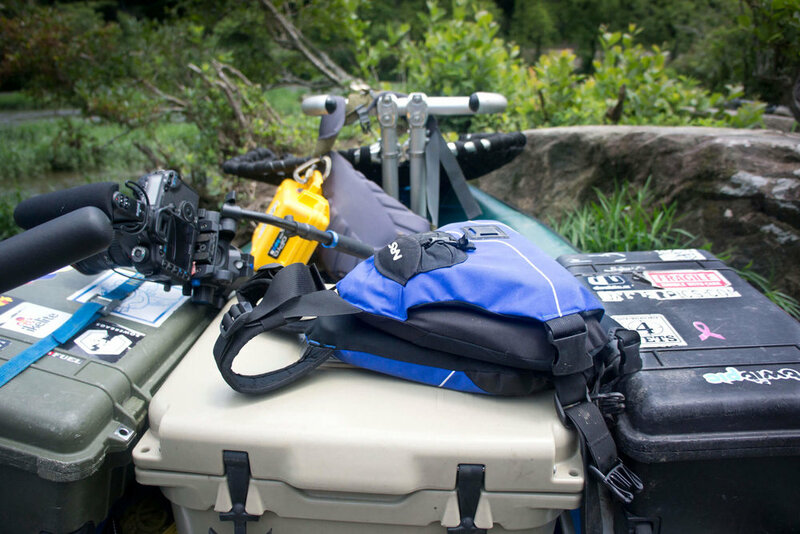 AFFC whitewater fishing guides are trained to the highest level: ACA Level IV Swift Water Rescue, CPR / First Aid certified and fully insured. If two days isn’t enough and you want to go back after the “one that got away,” we can accommodate you upon request. * We are happy to accommodate specific dietary needs. Fresh cold cut deli sandwiches or wraps, chips, chocolate, fruit. OPTION 1: VietCajun Low Country Boil. A traditional frogmoore stew with a Vietnamese twist. OPTION 2: Smoked Ribs, green chilli cheese grits, seasonal vegetable. OPTION 3: Chicken & carnitas street tacos, Mexican grilled corn, rice & black beans. OPTION 1: Bacon and eggs, potatoes, coffee, juice. OPTION 2: Bagels and cream cheese, fruit, cliff bars, coffee, juice.